To deliver Kirio's full benefits, it is installed by our licensed professionals. This highly trained network of licensed dealers get homes and office spaces connected efficiently, correctly, and quickly. To make the Kirio experience seamless and built-in, we provide advanced tools for homebuilders and architects to finally bring flexible technology to their projects. To understand the process for installing a Kirio in your home, condo or office building, tell us a little more about your project. A local dealer will be contacting you to review your options and get you on your way. This will help us better understand your project. What kind of automation are you interested in? Kirio’s large library of compatible systems allows you to build with flexibility in mind. Tell us about yourself and we’ll provide access to our design tool. It allows you to send us request for quotation and track all your Kirio automation projects. For more detail visit our Kirio Pro site. Do you build or design sustainable or green projects? If you rather talk to our certified dealers and installers, search them in your area. Catch the next wave of technology by becoming a Certified Kirio professional. Join our team and access training, innovative tools, and top-notch support. Kirio makes it easier to diversify and grow your business with the experience you already have. 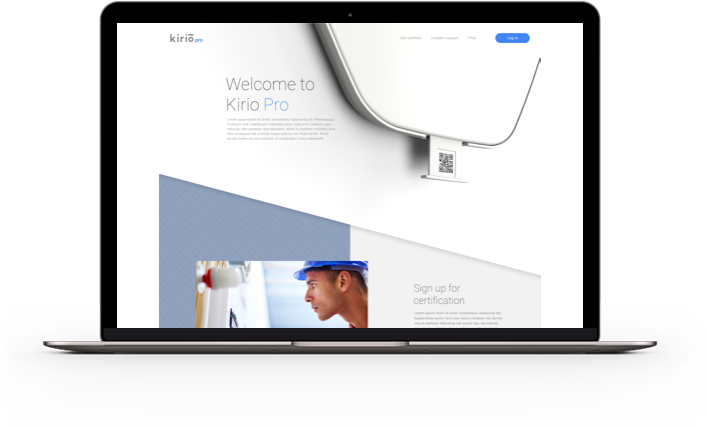 For an in-depth look at the Kirio experience from an installer perspective, to learn about our certification process, or view the next training dates and a lot more, visit our Kirio Pro site. Come see Kirio in action at our office! For all other inquiries, drop us a line.